Can I ask why our of my tax comes a national Al debt interest payment? I never signed any agreement saying I was liable for interest. I have not seen the agreement. I am not sure if PPI was included in that agreement. The government bailed out RBS in 2007, but was this because RBS held a substantial amount of Government debt, and if the bank failed the treasury would have to repay that money to the liquidators. Do we know how much government debt RBS holds? However, this is not true. Indeed UK Government gilts are 100% guaranteed safe, the government will always be able to repay any amount – it owns the currency after all!. Indeed in this uncertain climate today, investors are so desperate to move cash to something safe, they are willing to accept just fractions of a percent interest on 2 year and 5 year gilts, rather than invest it in companies. 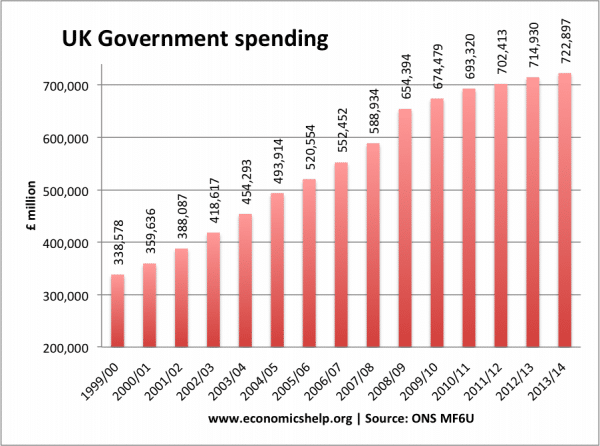 If anything, the government can (and should be) issuing far more debt, in order to kickstart the economy and get peoples standard of living back to where it was 10 years ago. I agree to an extent. Certainly, they can borrow more than the current 80% of GDP. What I really meant is levels seen in 1950s of over 200% of GDP. 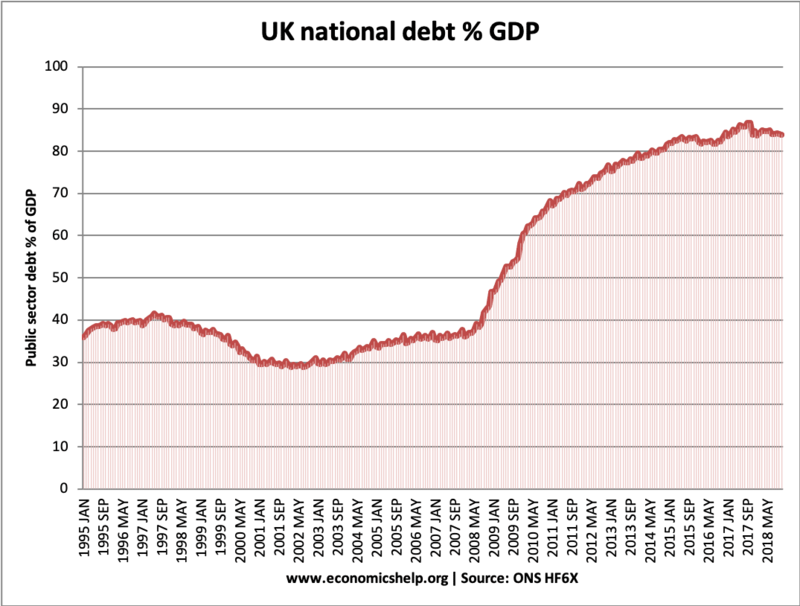 I think our national debt is quite simply staggering but at £1.7 trillion? and rising at £5500 per second! it obviously isn’t going to be paid off anytime soon. You say that reducing government spending isn’t going to reduce our national debt much if at all? Well I can see that because it reduces the amount that people spend in the economy producing government revenue such as VAT. 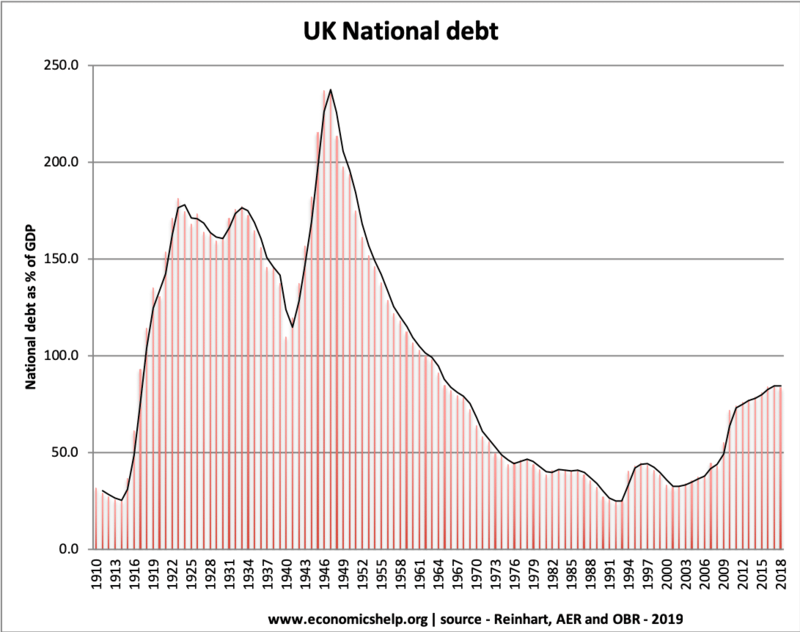 But it also seems more likely that the huge increase in the money supply since the eighties has made it much harder for governments to keep proper control over national debt much of which is fuelled by rapid increases in investment. 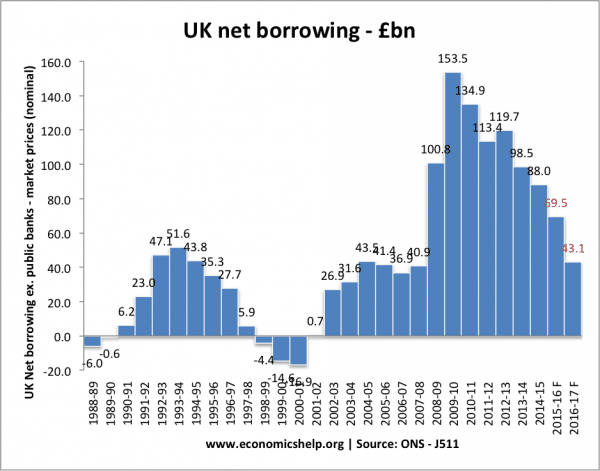 The trouble is that the credit crunch of 2008/9 has quickly proved how vulnerable ours and other economies are in relation to borrowing too much for investment. It looks as though some of our future plans may have to change regarding this and focus on more manageable priorities to deal with this. 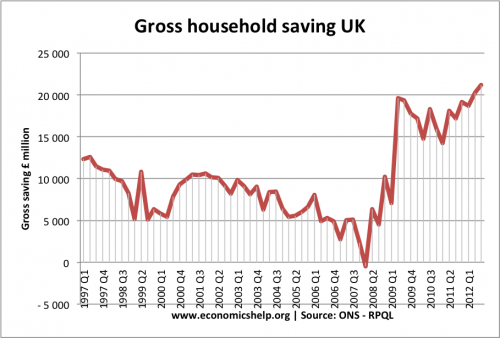 There are many ” catch 22s ” involved in the situation but, if the next financial crisis involves a collapse in property prices then that would probably involve much less money being circulated and spent which equally would mean that the national debt would still take many years to pay off and could actually increase it probably. 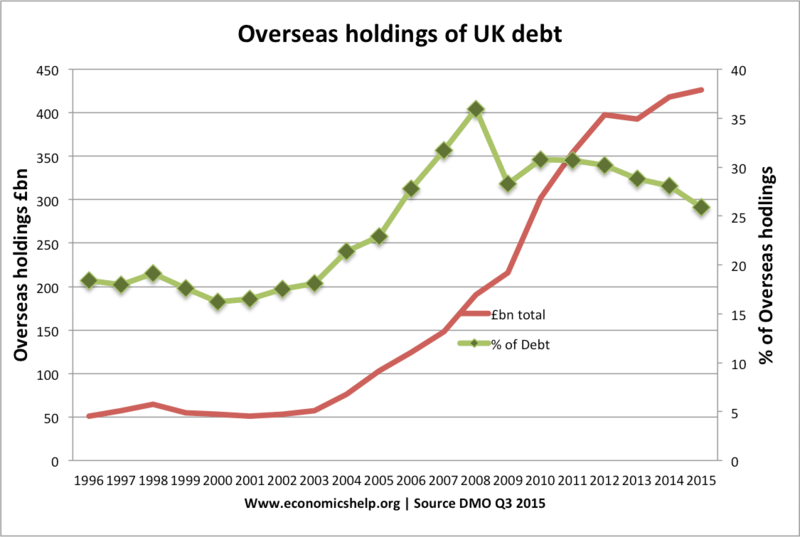 But it still looks as though the world economy cannot go on sustaining such high levels of debt. We cannot also probably relate our current economy to what happened before in any meaningful way. But the entire mechanism of money creation & money trading needs an overhaul. However, there is no political party proposing this. Is there a single politician who understands what is required? You are all missing the point.What will bankrupt Britain is this. We are coming to the end of a 31 year cycle of low interest rates and cheap money. We have gone well past the point of no return. Interest rates are rising.Inflation has returned. Even if Britain stopped public spending tomorrow,we could never pay the higher interest on our current £1.7 trillion debt pile. Britain is doomed.Within 5 years it will be poorer than Bangladesh. It doesn’t matter what interest rates are as amalgam Greenspan said in 2005 solvency is not an issue when the debt is in the same currency that the government can create. Government debt income is well below any private household debt income ratios but the government has far longer timescales than private households and can create as much money as it needs to buy any goods and services that are for sale in its currency. 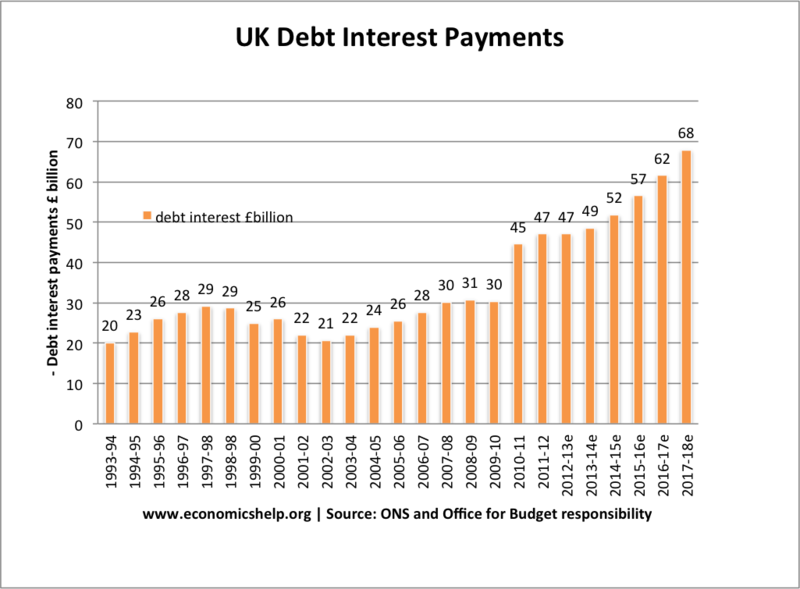 As a matter of fact the Bank of England has bought £453 billion of government debt and could easily buy up the rest and then there would be no interest to pay at all. It has been govt education policy throughout the West to withhold teaching basic economics & How Money Works to unsuspecting students – all the better to screw them throughout the rest of their lives (e.g. Student Debt). The problem with that is that even those running the economy have little idea how it works, and billionaire bankers are setting their agenda, for no other objective than their own bank balances. In the past, govts could get wise & correct these trends but banks have now been consolidated, in just one generation, into a small number of enormous institutions, larger & more powerful than most countries. And of course, unrestrained by nuisances such as representative democracy. Yes, we’ll all get relatively poorer, as we are willingly being taken for a ride and reacting exactly as planned. To be foretold is to be forewarned.The great evil of the socialost welfare state started foolishly by Lloyd George is over. 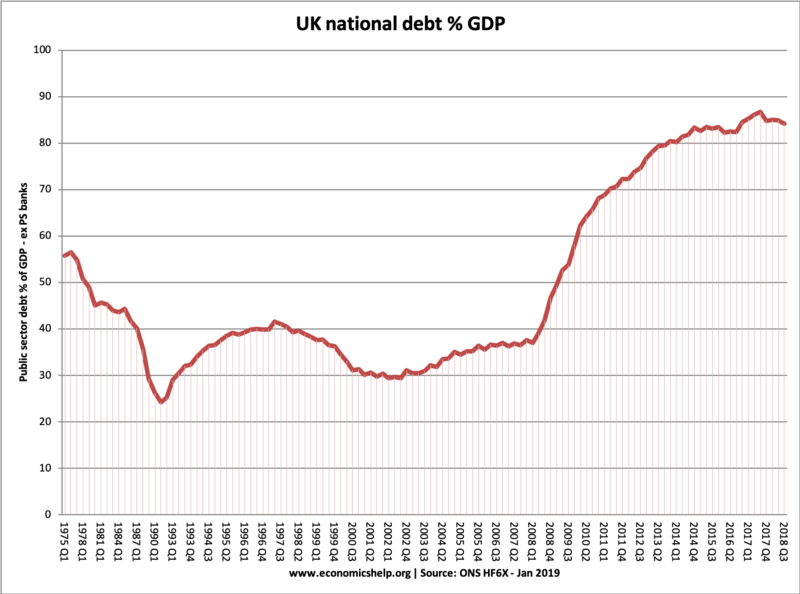 One question I have – as National Debt accumulates due to the deficit adding to it, I assume that at the same time that National Debt is slowly been paid back via bonds or gilts maturing, or have I got that wrong. ? As bonds mature the principal money or capital is repaid but government debt is simply rolled over by issuing new bonds or national savings products, for that matter. The nominal debt keeps increasing unless government tax flows exceed government spending which is a relative brake on the economy compared to the government running a deficit. The US Federal Reserve Bank is a group of private banks enabled by a law passed by Congress in 1913. The fact that it a cartel of private banks is probably not well understood. My belief is that the increasing US national debt is beneficial to the Fed. When it was created we are told it was modeled on the Bank of England. I understand that our national bank is also a private cartel and not owned by us, the people at all. 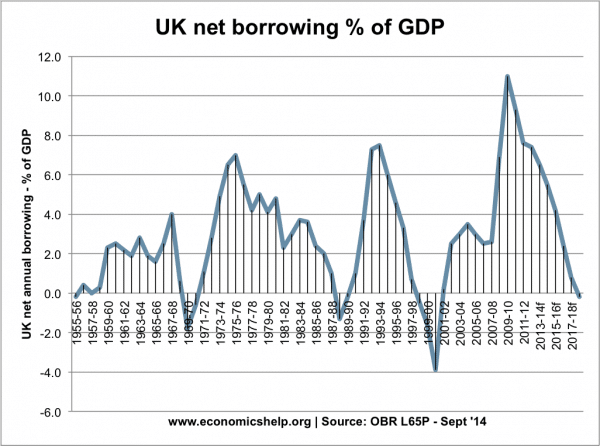 Thus it is not in Mark Carney’s interest for us to reduce debt. I’ve read an awful lot about economic theory, and how government debt is sustainable, etc; but most theories miss the vital point. Interest repayments. As it happens this article happens to touch on it, but simply says it is quite affordable. Yes it is, but the more fundamental and moral question one has to ask themselves is why on earth would you want your governments 4th largest spending to be on interest payments. I realise that interest rates are low and that much government debt is long term, which can be inflated away. But the moral question is why would you want to do this? Wouldn’t you want to have a balanced budget with minimal debt. I realise that we are where we are, but why this isn’t even an aspiration is astounding to me? Some debt is useful for the economy as a whole. 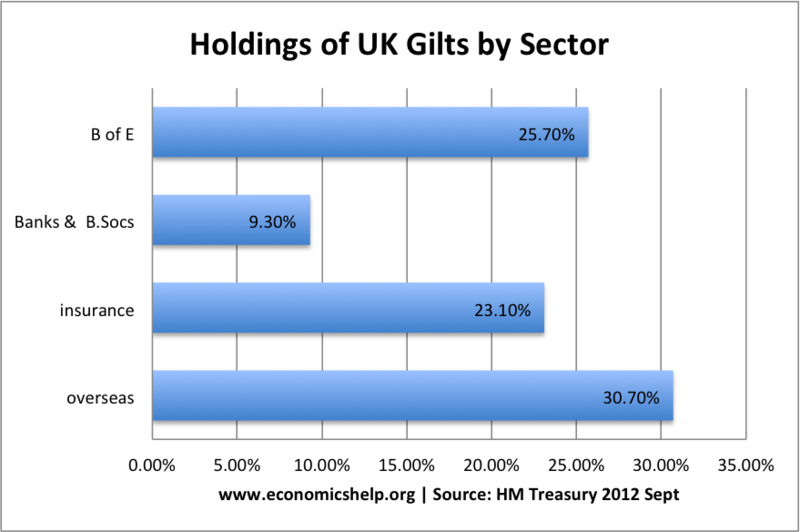 For example, annuity pensions depend upon UK gilts to make their payments to pensioners: they need a risk-free index-linked return and UK index-linked gilts provide that. The government has a responsibility for the economy as a whole and the debt serves a purpose. 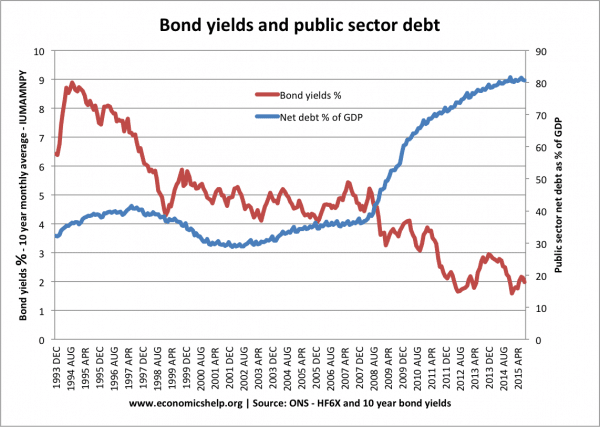 The key is whether the debt is affordable, and what the debt is used for. 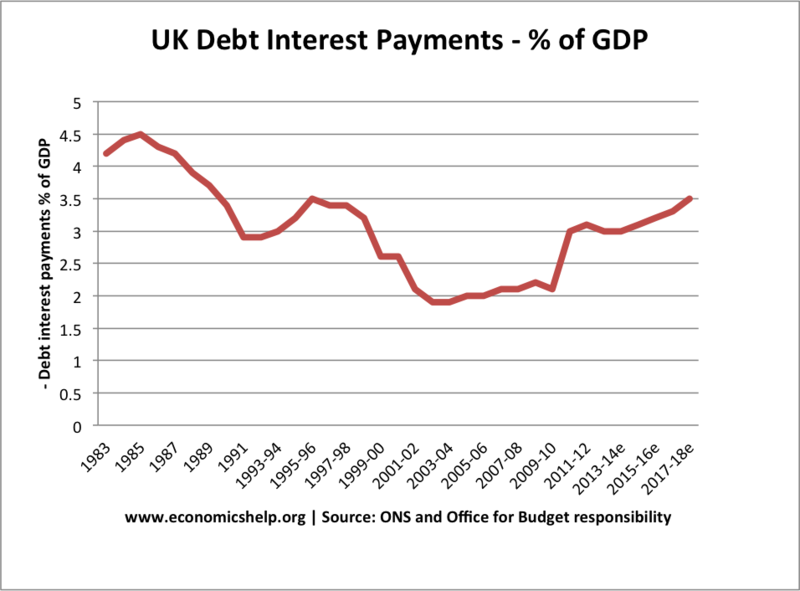 For the first point we need to monitor the debt interest payments to GDP – but also consider how that may change in the future. Because gilts pay fixed interest, the impact of higher base rates drip into the equation over time (as new gilts are issued to cover those maturing). The second point (what debt is used for) is really important. Borrowing to just maintain services is bad, because it leads to exactly the problems you mention (debt increases; interest payments increase and the UK would get into a vicious circle of ever having to borrow more). However borrowing to invest (spending the money on something that would have a positive effect on the economy) is not (within the limits of affordability). It’s questionable whether governments always invest wisely – but that’s another question entirely. 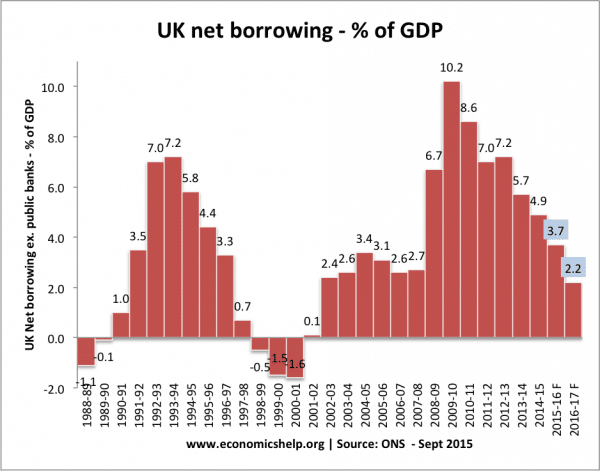 I meant to add – the UK is no longer borrowing just to maintain services (announced last week for 2017 fiscal year). This is fantastic news and another milestone to full recovery. I’m surprised the news hasn’t been more widely reported.